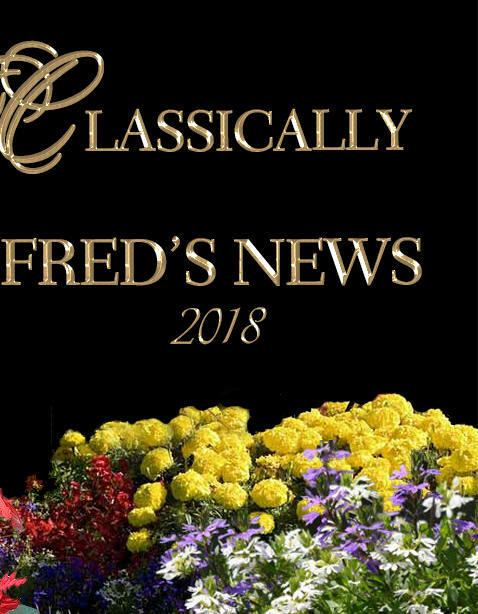 I intend to keep you up to date regarding new information and pictures of Classically. 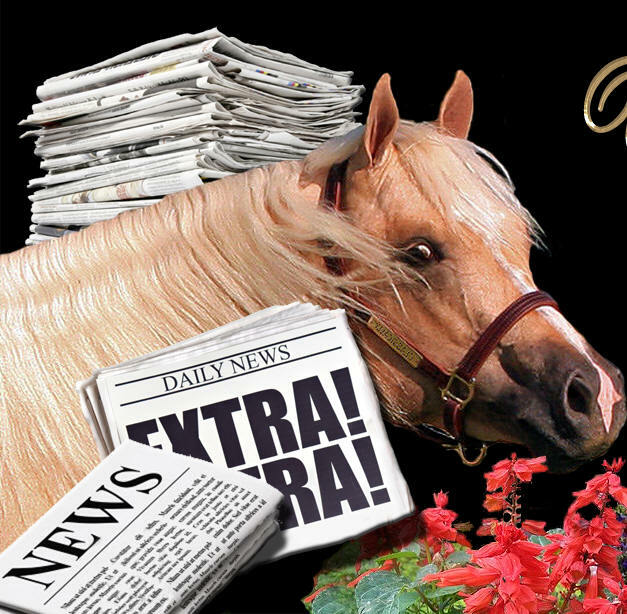 This will include copies of his ads, news about what is going on with him at Ellis Quarter Horses and anything else that I can think of that would interest you. 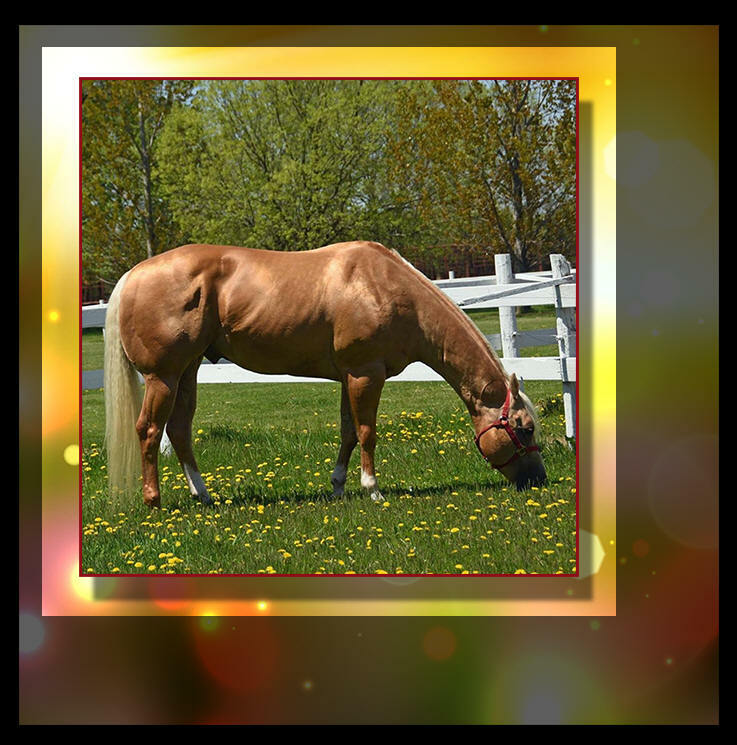 Please click on the link below to see some of the gorgeous foals sired by Fred . Fred (Classically) is so pretty colored this time of the year. Too bad I leave him outside all day and he fades from the sun. Heat wave today----only 5 below this morning. Fred (Classically) is wearing his blue boy's blanket. Today is Fred's (Classicallys) birthday. I took this picture when he was exactly 1 year old. Time sure goes by fast, doesn't it? Fred (Classically) wants to thank all of his friends for the wonderful birthday wishes. He had quite a day yesterday. In the morning, he was able to spend time outside before getting collected. After that the party was on. Leah Gloudemans and I turned him in the arena and he had quite a time playing. 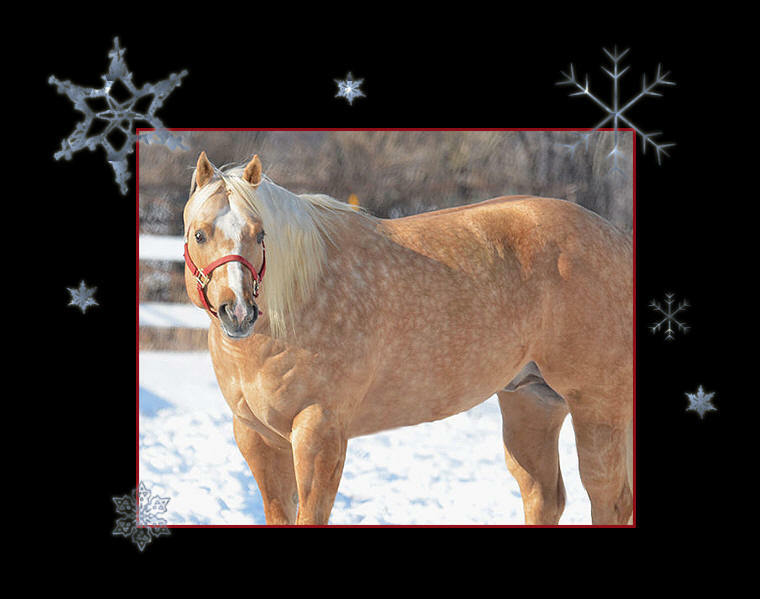 He also had his share of treats as I was going to give him one and Leah said she had already given him 5 peppermint candies. By the end of the day, he was warn out and ready to take a nap. 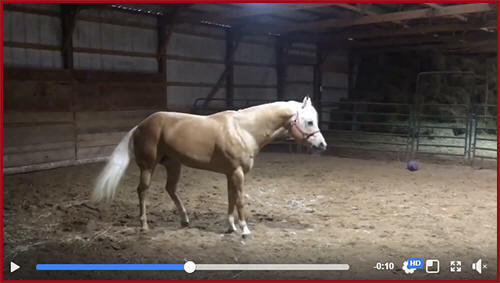 (I have to confess that this video was taken by Paula Moynihan when she was here with Jane Schulz last Sunday) Jane Schulz was back in Wisconsin as her dad's stallion, Reds Double Sonny was inducted into the Wisconsin Quarter Horse Hall of Fame. 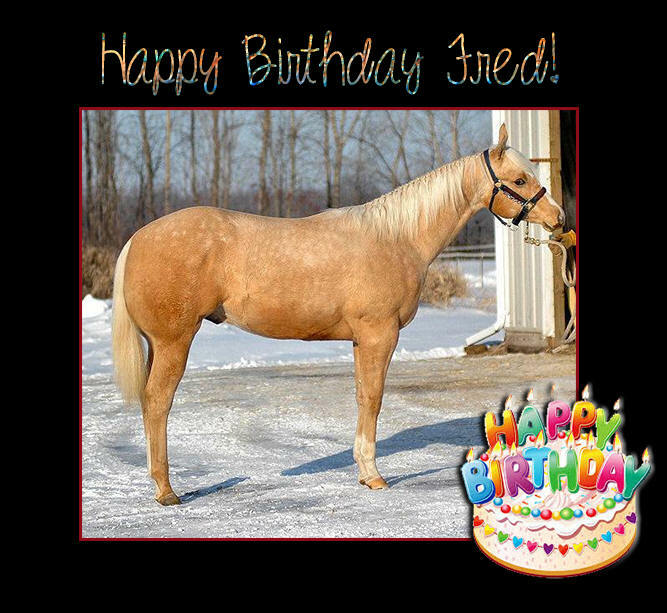 Click here to see Fred's Birthday Video~! 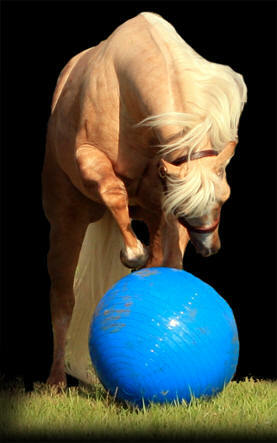 Classically----5 panel NN stallion by Kids Classic Style out of Miss Bunny Tardee by Tardee Impressive.